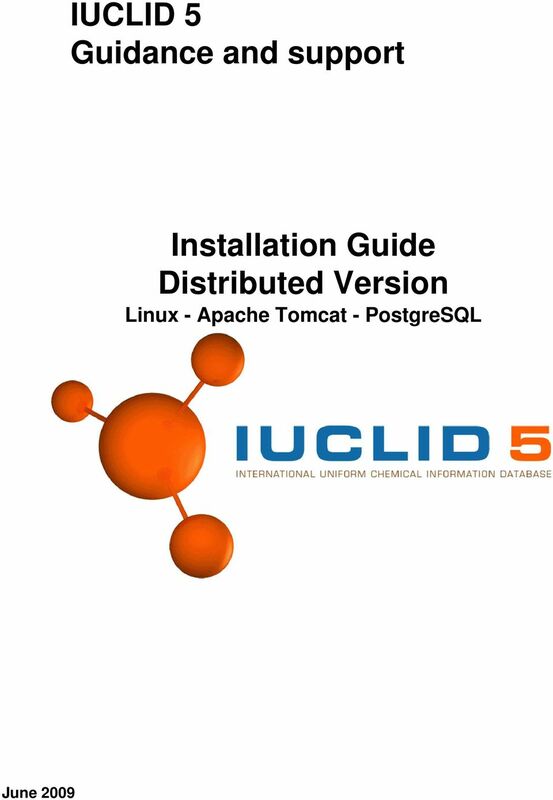 Download "IUCLID 5 Guidance and support. 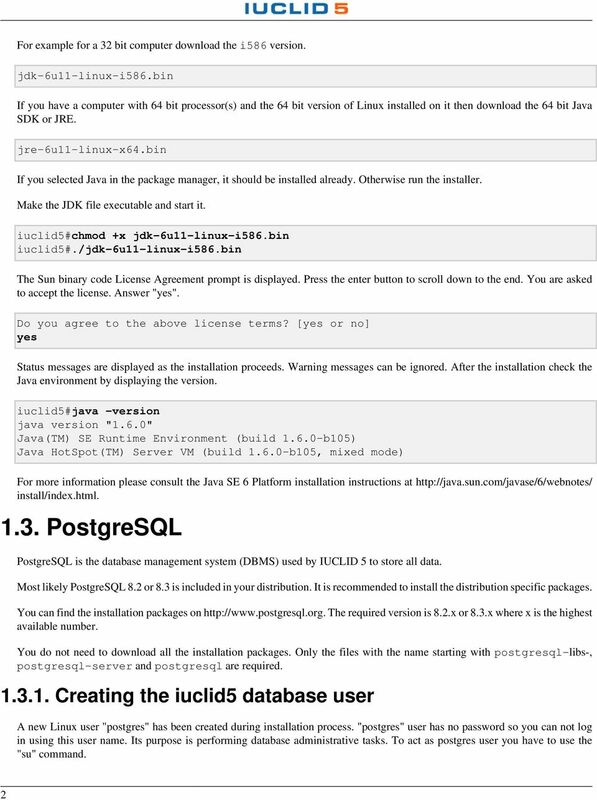 Installation Guide Distributed Version. 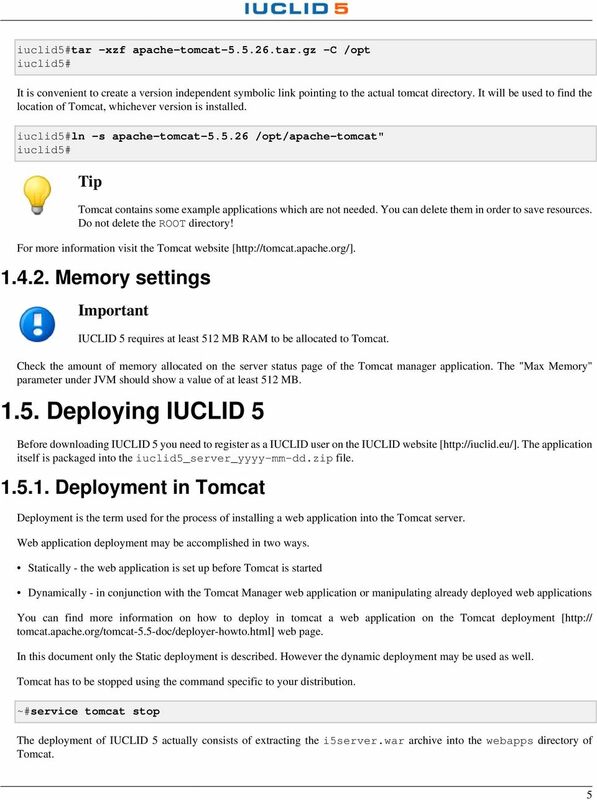 Linux - Apache Tomcat - PostgreSQL"
2 Legal Notice Neither the European Chemicals Agency nor any person acting on behalf of the Agency is responsible for the use which might be made of the following information. A wealth of additional information on the European Union is available on the Internet. It can be accessed at the addresses: European Chemicals Agency Reproduction is authorised provided the source is acknowledged. Trend Micro Incorporated reserves the right to make changes to this document and to the products described herein without notice. 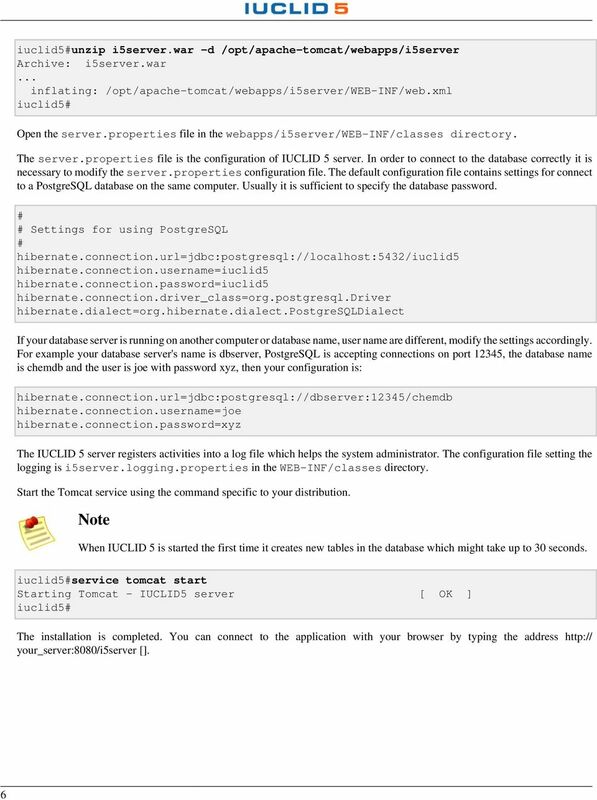 JAMF Software Server Installation Guide for Windows Version 8.6 JAMF Software, LLC 2012 JAMF Software, LLC. All rights reserved. 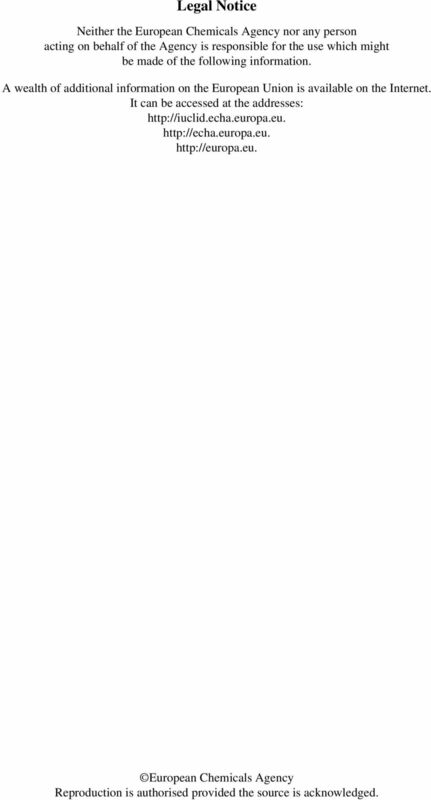 JAMF Software has made all efforts to ensure that this guide is accurate. Simba XMLA Provider for Oracle OLAP 2.0 April 23, 2013 Simba Technologies Inc. Copyright 2013 Simba Technologies Inc. All Rights Reserved. Information in this document is subject to change without notice. 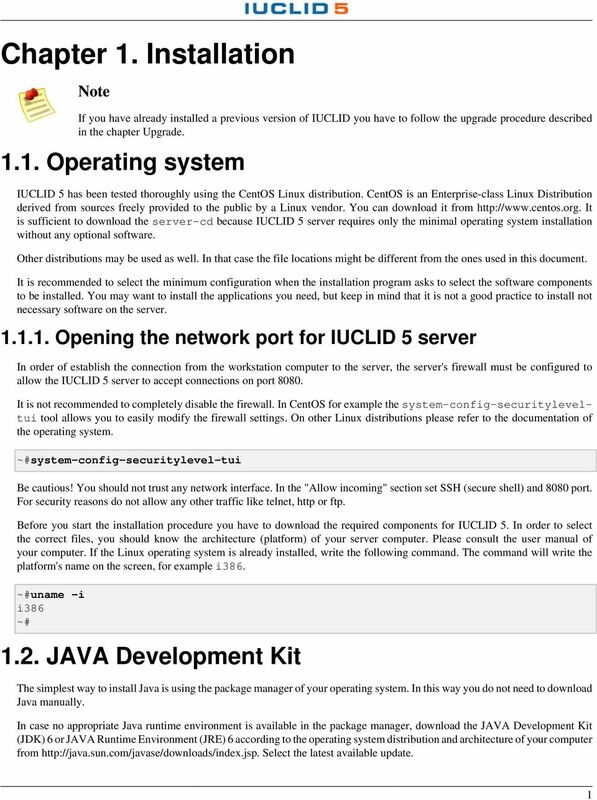 This guide specifies the required and supported system elements for the application. BaseManager & BACnet Manager VM Server Configuration Guide For Self-Hosted BaseManager & BACnet Manager Servers Deployed as Virtual Machines August 27, 2015 Customer Service 1-866-294-5847 i Baseline Inc. 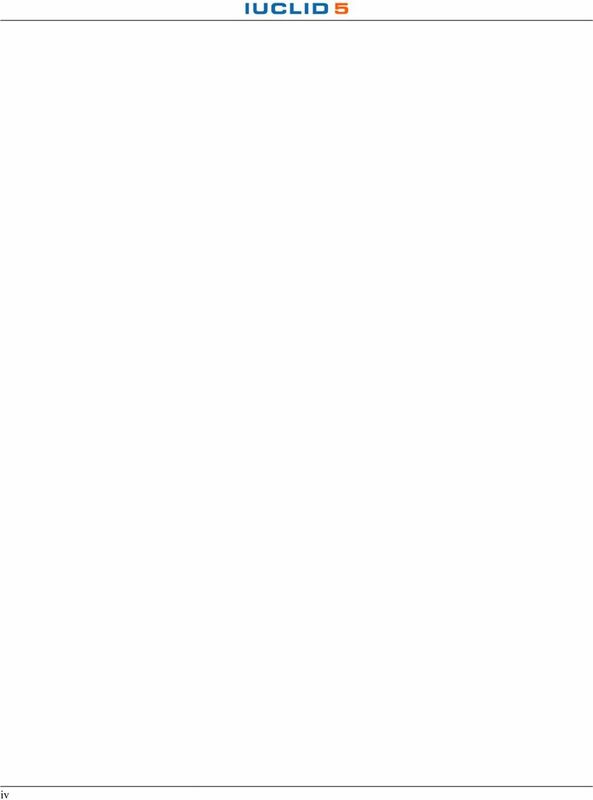 Copyright 2012 Trend Micro Incorporated. All rights reserved. 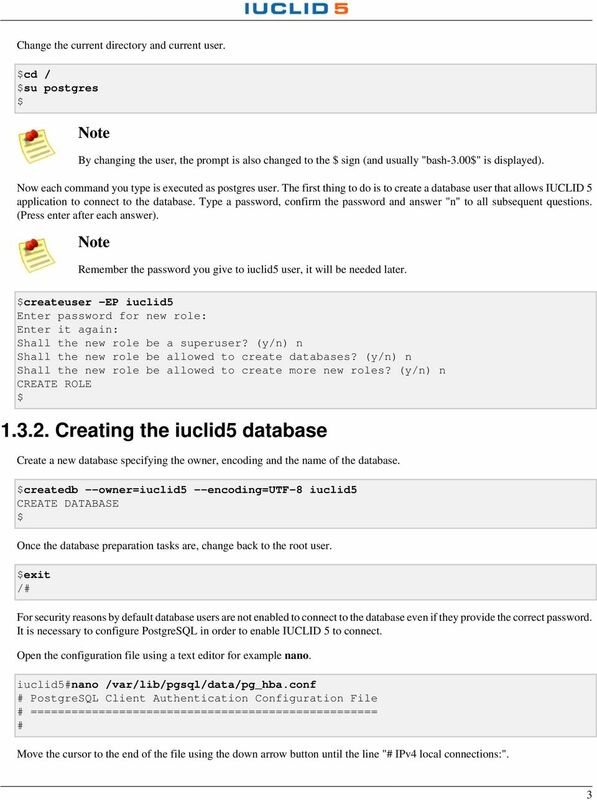 IUCLID 5 Guidance and Support Web Service Installation Guide July 2012 v 2.4 July 2012 1/11 Table of Contents 1. Introduction 3 1.1. Important notes 3 1.2. Prerequisites 3 1.3. Installation files 4 2. Citrix XenServer Workload Balancing 6.5.0 Quick Start Published February 2015 1.0 Edition Citrix XenServer Workload Balancing 6.5.0 Quick Start Copyright 2015 Citrix Systems. Inc. All Rights Reserved. CHAPTER 3 Basic Installation of the Cisco Collection Manager Introduction This chapter gives the information required for a basic installation of the Cisco Collection Manager and the bundled Sybase database. WA2102 Web Application Programming with Java EE 6 - WebSphere 8.5 - RAD 8.5. Classroom Setup Guide. Web Age Solutions Inc. Web Age Solutions Inc.